Virtually every male I know has played fantasy football at some point in time. A ton of buddies also play fantasy baseball all season long. But most people did not realize that you can play fantasy PGA, NASCAR and MMA in the daily style format. These sports are all newer to the world of fantasy. MMA and NASCAR in particular are new. Fantasy golf has been on DraftKings since early 2014. NASCAR just came about in May, 2015 and MMA launched in October of 2014. These fantasy leagues are for real money. Risk and win real money using your knowledge of the players. There are literally millions of dollars up for grabs during the big PGA events. The U.S Open has a $20 entry with a $1,000,000 first place prize. Every week there is a $3 PGA Chip-Shhot tournament with a six figure prize pool. Even on the slow weeks and the smaller tournaments. Thousands of players compete in these events every week (yours truly). It is fast, fun and legal. 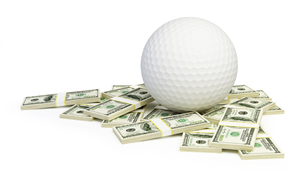 How Fantasy Golf Works – Draft 6 golfers under a $50,000 salary cap. They play the tournament and score points based on where they finish the tournament AND on a hole by hole basis. Birdies give you points and bogeys take them away. See more on how to play fantasy golf and give it a try this week. You will need to have your line-up’s set by EARLY Thursday mornings, prior to the first golfer tee’ing off. You can also see all my fantasy golf articles here. Contests last four days over four rounds of play. Fantasy MMA contests let you draft 5 fighters on your team. You score points by how well your fighter does in the cage. Fast knock outs give you the most points. You also earn points for hard hits, take-down’s and more. See the full fantasy MMA rules and scoring guide here. Fantasy contests last the duration of fight night and are finalized after official stats are recorded. The newest sport to launch at DraftKings is fantasy NASCAR. You draft a team of 5 racers and they earn points based on a number of in-race factors as well as race finishing position. You can learn the rules of fantasy NASCAR at DraftKings here and take it for a spin this weekend. Fantasy contests last the course of the race and winners are paid out after the final stats are in. Here is a DraftKings NASCAR guide that goes over how to score points and some basic strategic considerations. Should You Play These Fantasy Games? That is a question only you can answer. For me, I know that fantasy baseball is full of grinders who know what they are doing. Sure anyone can win on any given night but with baseball there is so much to keep up with and such a large number of players that it doesn’t make sense for me. The other sports are relatively new. No one is totally dominating (yet). Strategy and luck can prevail. That’s what I want in the big GPP’s. Here are somethings to consider. It’s legal. 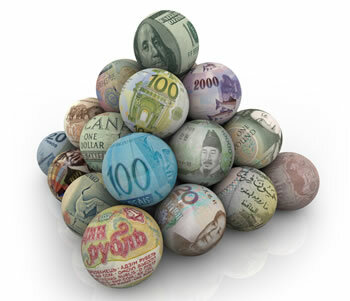 Fast easy deposits and cash-outs. I can play as little or as much as I want. No season long commitment. Big money is possible, even if unlikely. For $20 I get a shot at a $1 million first place prize during the big weekends in golf. I can risk $20.